Want to learn to sing and espress your emotions? Confirm you are not sending Spam! It was incredible reaching my goal in just 26 lessons! Awesome experience, you must try it! A training that I will never trade for anything else. My voice was fixed in no time, by just correcting my posture! I strongly suggest Mylena to anyone willing to get REAL results! Before trying the Inborn Voice Method I've lost 6 years of useless trainings! Mylena is much more thatn a vocal coach. I was trying to fix my voice, a voice that is my income source, but the problem was elsewhere. Mylena was still able to "fix" it! I've fallen in love with my new voice even after few lessons! Milena has a passion: help the other to truly express themself using the voice. Milena is empatic and has a wealth of experience to share. I was able to speak in public with no fear and no tension! I was impressed by the seriousness of Mylena's approach to voice teaching. I've developed a stronger voice and now I'm able to perform all the tunes I write without an issue! You are an awesome teacher. I was able to reach better results than I was dreaming for! Most of the people who sing are reluctant to do exercises, especially those that are not clearly linked to vocal emission. It is worth setting one's mindset on the fact that everything that helps one to sing songs with less force will also help to sing for a longer time. You need to be able to set your voice free from the limitations of negative habits so that you are able to use it in an artistic way, or rather to communicate emotions through the use of your voice. See it like light athletic training: no one will be able to run a marathon without training, not even those who have already been fortunate enough to have natural talent. Vocal training will allow you to handle better the coordination of your body. Many students do not want to complete the exercises because they do no understand the point. Probably no one had ever explained this to them. 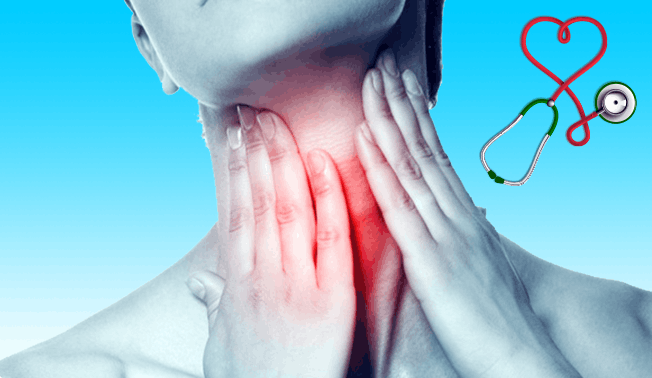 It must be emphasized that these exercises effectively serve the voice, whether for resistance, or for prevention of many well-known problems with the vocal cords. To draw a parallel with athletics it is a bit like lifting weights. If the body is not well-trained and it is under a weight that is too heavy the spine will suffer injuries. The exercises are everything, they have to become a part of your daily life and remember that if the teacher has told you that you need to do certain exercises before singing and you do not do them, you will not make any progress! Singing in an incorrect manner will irritate your vocal cords, and you will easily lose your voice and become hoarse. These are the signals that our body gives us. If you ignore them you will surely find yourself with more serious problems. After having followed the first cycle of lessons you will unequivocally see improvements in this regard. This is the difference between a good voice teacher and one who is less attentive to details. Many things are said regarding the benefit of vocalizing, which is often touted as cure-all for those who want to learn to sing and therefore fully inserted into different methods of singing. My method looks to teach you to utilize your musical instrument, the body, through bringing awareness and training it. The practice of vocalizing (i.e. singing scales or musical notes without words) comes only in the next stage, when you have become familiar with the technique because otherwise the vocalizing will serve only to reinforce habits and postures that are incorrect. Try to forget to write from left to right and learn to write again from right to left. The effort would be 10 times more, maybe 100 times more, compared to learning completely from zero. Vocalizing is like playing scales for those who want to learn to play the piano. Scales are not the first exercices a piano student does. And the piano is a tangible instrument, whoever sees the keys with their eyes and can realize when they have made a mistake because the sound resonates in the sound box. With the human body things are more complex because one cannot see the instrument, many students imagine their vocal cords like as if they are an upright standing piano, with the lower notes situated at the bottom and the higher notes closer to the top. Nothing could be more wrong. The "human" instrument is horizontal exactly like the piano! All of these exercises are interdependent, or rather exercises of posture can also involve intonation exercises and phonetics. Always ask your teacher the reason behind what you are doing and if it is not clear to you then ask again. You are there to learn and not to merely repeat. If it does not seem that the exercises are helping you then speak with your voice teacher because to singing starts first from the mind and if you are not sure of your understanding you will not be able to reap the maximum benefits. Soon you will find on my website the entire section of exercises explained with detail through images and voice. Bookmark this page or rather contact the vocal coach asking to be signed up for the newsletter! Finally available the Mobile Application of Find Your Voice! Furthermore you can find the book that teaches hot to speak and sing in all the bookstore of Italy. This book features my collaboration with one of the most famous Vocal Coaches in the world and it is in Italian Only. I recommend my book to whomever is too far from me and therefore is unable to work with my method. You will find all of the exercises on breathing and posture and you will begin to understand how to recognize an effective vocal coach. 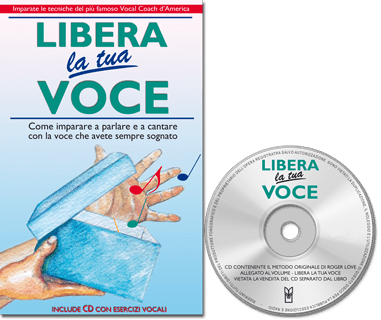 All of the information on "Libera la tua voce" on this page.